What is cooler than flying in and out of the water with a real jetpack? 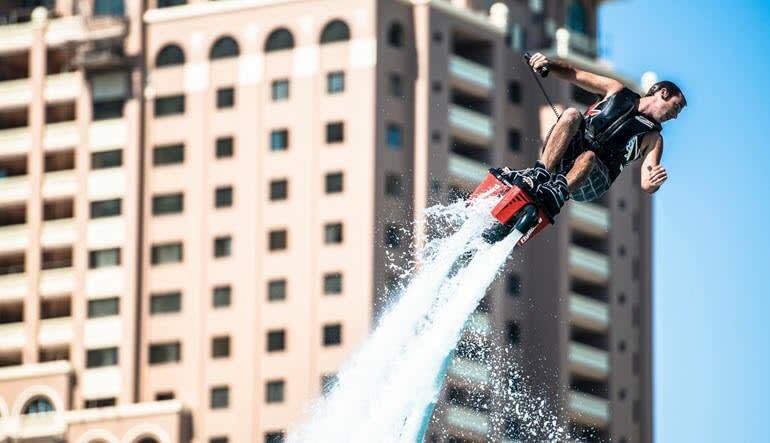 Flyboarding is the newest experience that thrill seekers from all walks of life are lining up to try. 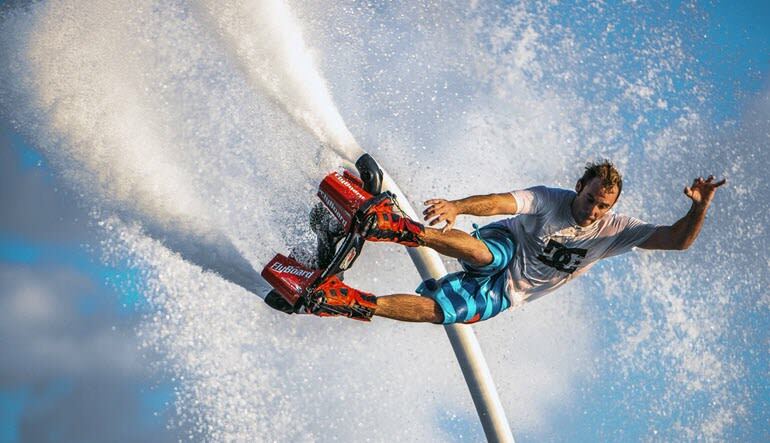 Let’s start with the basics: a flyboard is a water jetpack attached to a personal water vehicle like a jet ski. The jet ski provides the propulsion that drives the flyboard through the air and water. The rider stands on a board with a pair of boots with jet nozzles underneath and soars up to 20 feet into the air. 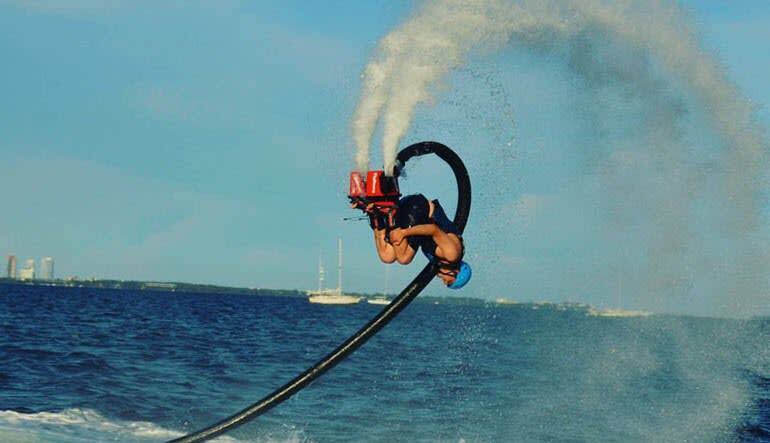 Fresh off the production line, the Flyboard was first invented in 2011. Flyboarding is a fairly new activity but is already being recognized as a world-class sport with many competitions spanning the globe. Get a crash course in this quickly growing pastime today!